September 14, 2015. In Middle Eastern culture, when one expresses admiration for personal belongings such as clothing, jewelry, or decorative accessories, it is customary to offer the praised object in return. However, I did not expect the delicate-faced woman with the melancholic smile wearing a long, black dress and matching embroidered headscarf to offer me her most precious belonging: a set of white coffee cups adorned with golden rims. She and her family have lost everything. I met this refugee family last year in Jordan while I was conducting a rapid assessment survey of the Syrian refugee crisis with a team of researchers from the FXB Center for Health and Human Rights at Harvard University. Numbering more than 650,000, Syrian refugees in Jordan are among the 4 million refugees who have fled their homes since the outbreak of civil war in March 2011 and sought shelter in the neighboring countries of Lebanon, Turkey, and Jordan. The story of this Syrian refugee woman epitomizes the torment and hardship faced by most refugees fleeing conflict and struggling for bare survival. Amal (which means “hope” in Arabic) and her family lived a comfortable life in Daraa, a rural region of Syria, until government planes dropped barrel bombs on nearby homes, killing her neighbor. She managed to escape with her husband and children by quietly crossing the 17-mile-long Syrian-Jordanian border on foot, walking for six hours in the middle of the night to avoid roaming, armed men while clutching her six children, including an eleven-month old baby, and a few precious belongings. Her determination was fueled not only by the instinct to survive but also by faith: she believed that she and her husband would be able to provide a better life for their children in Jordan. After the mandatory stop at Raba’a al-Sarhan, a registration transit center near the Jordanian border, the family was transported by bus to Zaatari refugee camp, a desolate, arid site one hour north of Amman. Fenced in with barbed wire and guarded by a Jordanian military tank, Zaatari is the second largest refugee camp in the world and home to more than 80,000 Syrian refugees. After completing the required biometric iris scan, Amal and her family spent twenty days in a tent provided by UNHCR. Having registered, the family was provided with access to basic healthcare inside the camp, food coupons, and modest cash assistance, which typically ranges from 50-150 Jordanian dinars (70-210 US dollars) for a period of three to six months. In the harsh desert environment of Zaatari, Amal suffered from dizzy spells. Her husband, Hassan, developed a tonsillar infection. Her children fell ill due to the incessant pummeling of sand and dust compounded by the scorching sun. The family soon left for Irbid province, where they lived in a rented apartment for the next six months. Despite the resources provided in camps, over 80 percent of Syrian refugees have settled in host communities in Jordan. The majority of refugees perceive the camps as insecure and restrictive. They feel they can have greater autonomy and independence outside the camps. The family soon ran out of their own savings. Unable to pay for food and rent due to rising costs caused by the influx of refugees into Irbid, they eventually moved to Mafraq province, where rent is relatively cheap. To sustain their family, Amal and Hassan had to sell their property in Damascus, accruing debt. In a decision revelatory of ultimate despair, they allowed their two oldest sons, ages 12 and 14, to work at a nearby vegetable store. After a 12-hour workday the Jordanian storeowner would curtly hand the boys one or two dinars. But at other times he slapped them in the face without paying their hard-won wages. When asked if the two boys would have been allowed to work if they were still living in Syria, Hassan bowed his head, fighting back tears. I could barely hear him utter the word “no,” his voice muffled behind a face of shame. Amal continued to suffer regularly from dizzy spells, triggered by episodes of bleeding. She sought medical care in various local health clinics but did not get much relief. Hassan was obliged to care for their children and perform household chores, tasks typically reserved for females in the Middle East. He pointed to her hands, noting that her wrists had been swathed with gold bracelets and her skin silky white when they lived in Syria, but that now her wrists had become bare and her skin rugged and cracked. Like many Syrian refugees, the family tends to stay indoors to avoid being discriminated against and verbally or physically abused. Amal and Hassan’s children are deprived of what most kids in the world take for granted, namely, going to school, playing, running, and interacting with friends. The sense of social isolation is pervasive among refugees and the sensory deprivation of refugee children is striking. Their faces are often glassy-eyed and devoid of a child’s customary innocent smile. The family dreams of going back to Syria and putting an end to their torment, but for now they live day by day, uncertain of what their future might hold. 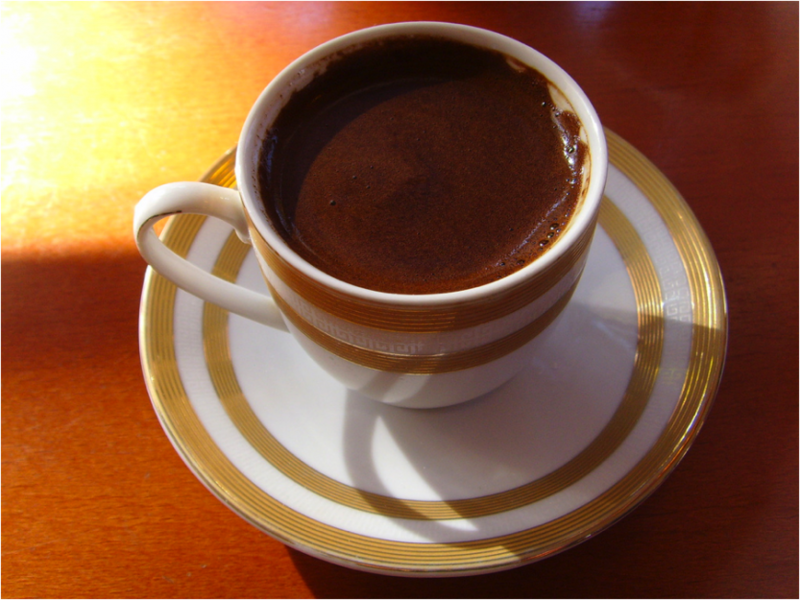 Despite such tremendous loss and humiliation, Amal nevertheless gracefully smiled and offered me her ornately decorated coffee cups: “Mu’addameen: I offer them to you.” While slowly sipping the hot, bitter coffee infused with cardamom, I reflected on her kind gesture. Beyond traditional Arabic hospitality, her generous offer was a means of transcending her family’s predicament and connecting with a stranger by virtue of our shared humanity. In a Middle East riddled with abhorrent violence and pervading darkness, I took a deep breath and smelled a whiff of hope.